Christmas isn’t always “Jingle Bells” and “Ho, ho, ho.” In these Twelve Tales of Christmas, even Santa has to deal with unexpected German Shepherds and reindeer who suddenly want to learn the tango. A dryad works feverishly with a teenage boy to save her tree, now in a stand in his living room, and everyone begs Death to hold off for just one more day. And nobody knows what to do with the fire-breathing dragon. He’s not going on the Christmas card list anytime soon. “The tales in this compilation re-instilled in me that which I tend to forget in the day to day humdrum of what can some days be my life. The things that I deem of deep and intrinsic value have been re-awakened. Cathleen, this sounds like a wonderful collection of original Christmas stories. I love the cover – you did a great job all around. May you enjoy the fruits of your loving labor and this season. Thanks, Sharon–especially for the cover comment. I tried a similar cover in digital first and decided it wouldn’t work. Then I painted a false start before I threw up my hands, spouted epithets, and began over with this one. This book was tough. It seemed like every phase took way longer than it should. That’s an interesting comment about getting better at publishing. You know I have no publishing experience despite having completed 3 books and am nearly done with the fourth. Seems like so much to demand, that writers be great at writing and also great at business. You’re doing well. Awesome! We need Christmas stories with dragons! Different and I am sure very enjoyable Christmas tales from Kathleen. Thanks so much, Bernadette–I really appreciate it. You’re right about the pricing labyrinth. It’s easy to get lost in opinions–because more than one system works–but just in case it helps, here’s how I approach pricing. Right now I have a very small audience. My goal isn’t to make money off my books, at least not yet. Not many people are really going to care how hard I work, how much this means to me, etc.They’re going to care if my book seems like something that might be fun. If I keep the bar to entry low–free or $.99–folks are more likely to pick up my book on impulse. If I give them a reading experience they enjoy repeatedly, they may be willing to wait for more, check up on new releases dates, etc. In part, this is modeled on my own reading experience, and it’s affected by the fact that I spent a good chunk of my life struggling to pay the bills. I often learned of authors via the library, or sometimes from the recommendation of a friend. In both cases, my intro was free. The first time I read LOTR, it was from a library. I went on to buy (with babysitting money) everything Tolkien ever wrote. So, I’m willing to give away several books to try and acquire some reader trust, enough to make charging three or four bucks worthwhile later. But that’s an easy conclusion for me to reach. I’ve got eight novels and one more collection drafted already, and four of those books are pretty polished. I’d probably have a different plan if I only had a few books in me. Cathleen, I agree wholeheartedly with your pricing ideas – and I read the same. Will often ‘pick’ up a book around that price range on a whim. Reading KDP Publishing rules I noticed that you are not allowed to offer a book for free unless you are either part of KDP Select or offer it for sale elsewhere. I think this is right? I bought you book and look forward to reading it…I smile at your words that every compliment is a treasure …how true – I think many of us writers feel vulnerable – after all we are putting our work out there for everyone, to read, enjoy and possibly judge harshly. It’s scary. Just from your post today I know I’ll love your book and be able to leave a positive review! What a great friend you are, Annika! Be sure to give me a heads up when you want a review or interview and I’ll be happy to return the favor. I like the world better when we lift each other up. You can’t offer a book for free on Amazon unless you can give them a link where it’s free elsewhere–and they want retailers: iBooks, Kobo, Barnes and Noble, etc. Smashwords or Draft to Digital alone won’t get it done. I believe with the Select program you get five free days every three months. I’m not sure because I haven’t personally used it yet. I may once I start charging for books. I’m so envious of any writer that has a Christmas story to tell — let alone twelve! Congrats, Cathleen! Yeah, that bit actually got tricky. Collections are sneaky that way. This is my second, and both times I had to write 15-16 stories to get twelve that worked in a collection. For this book, one version had too many grandmothers. One had too much death. That sort of thing. One really good result from that experience, though, is that I look at rejection in a completely different light. I’ve rejected seven of my own stories over the two books. They were good stories, too, but they just didn’t quite work in the larger work. I figure it’s something like that now when I submit a story and it’s not accepted. Well, I absolutely wish you the best of luck with Twelve Tales! And those “rejected” stories will probably find their way into a different collection, or simply be published as one-offs (perhaps in a magazine or literary journal?). I’m thinking very casually right now about a collection of prose short stories in the style of the old newsprint comic books and after-school animated series from the eighties I grew up on; anthologies are a very different challenge from writing a long-form novel, I’m discovering! I hope you’ll post more essays about the process in the coming weeks and months so I can learn from your experience! I could, I suppose. 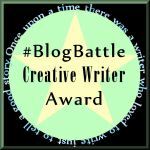 It would be a useful sort of post, and that kind of thing is what I like to blog about. Lots of congratulations to you, Cathleen, on Twelve Tales! I like your enthusiasm and positivity! Cathleen! How exciting! I just bought it (i know, late to the party) and look forward to reading! 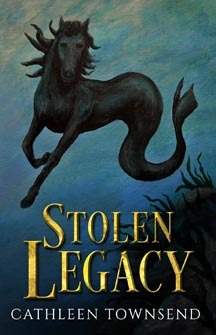 I need to get some of my reviews done, including one for Stolen Legacy. You are so talented–a great writer AND painter/cover designer! Can’t wait to have coffee with you next week! And you're quite an artist, too, with your photography. Art is in the eye, not the hand. I loved the book very much, Cathleen and the review for your excellent book is up on my blog. I am so glad to have read the lovely stories. Some of them touched me in unexpected ways. After reading the first one, ‘The Gift’, I resolved to send gifts to the orphanage for Christmas. After reading, ‘Department Store Santa’, I realised how fortunate we are to have families by our sides and adequate material comforts.